Widely considered to provide the ultimate urban living experience, it doesn’t get much better than Streeterville rentals if you’re looking for a short-term, or even long-term, housing solution in middle of downtown Chicago. Bordered by Lake Michigan and Michigan Avenue to the east and west, and the Chicago River and Chicago’s Gold Coast to the north and south, it’s incredible to think how close Streeterville residents are to many of the best amenities and attractions in the entire city. The Magnificent Mile, which attracts roughly 22 million people each and every year, of course gives renters easy and direct access to the Windy City’s best shopping, dining, and entertainment—and in a city as big as Chicago, that certainly says lot. 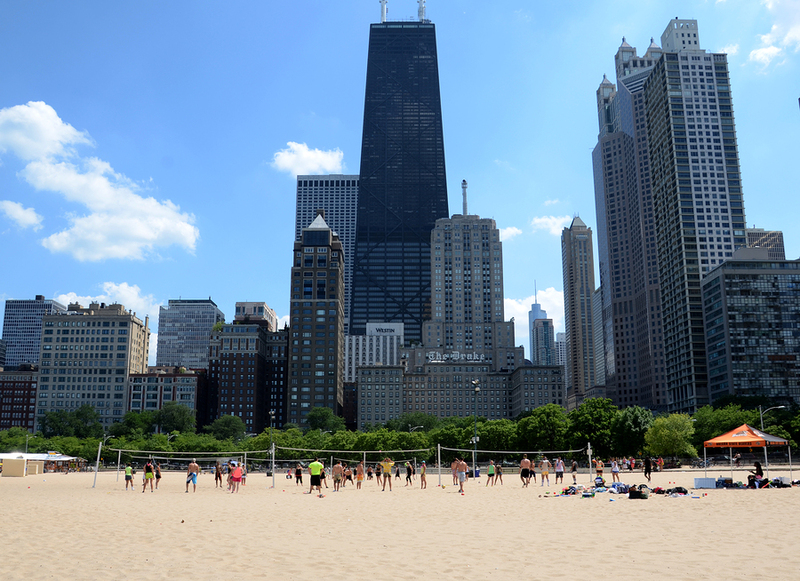 Furthermore, Streeterville rentals also provide a pretty close proximity to Navy Pier, the Museum of Contemporary Art Chicago, and of course the beautiful Chicago lakefront, which may be Streeterville’s best feature of them all. Lake Shore Park is also a huge part of the Streeterville neighborhood, which for our money, is one of the best public outdoor green spaces in all of Chicago. Unless you’re specially looking to live in a high rise and prefer the high rise lifestyle, however, Streeterville might not be the best location for anyone who values lots of space and privacy. The real estate landscape in the area mostly all consists of tower residential high-rises, which still have plenty of upside, even for those who might be a bit weary about living high in the sky. Most Streeterville rental and apartment buildings feature some pretty attractive and convenient lifestyle amenities, which can include anything from professional door service and valet parking to on-site dry cleaners and fitness centers, which are pretty nice to have for obvious reasons. Some buildings even have private indoor pools and sun decks, but these kinds of amenities of course vary from building to building. So if a sleek high-rise condo for rent may sound like something that fits your needs and wants in a new home, contact Gold Coast Realty for more information about Streeterville rentals, or simply start browsing any and all of the active MLS listings currently on the market, which are all conveniently featured below. Many Chicagoans consider Streeterville to be the heart of downtown thanks to so many attractions and amenities being situated in this part of town. With the Magnificent Mile acting as Streeterville’s western boundary, there’s certainly no shortage of shopping and dining options throughout the neighborhood. But along with that, you’ll also find quite the variety of cultural attractions nearby too, along with plenty of other fun things to see and do along the way. Below are just some of our favorite Streeterville spots to frequent, so take a look and let us know if you feel this might be the place you want to soon call home!